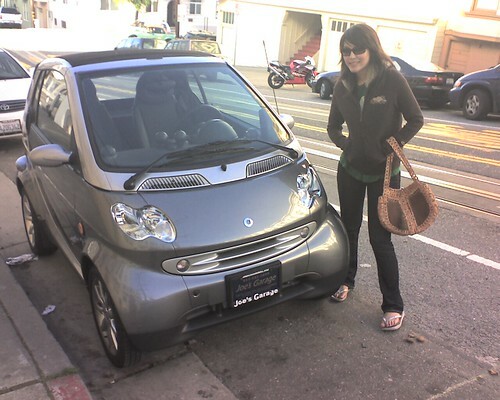 So I’m not sure if the online reservation for the U.S. Smart cars has officially begun, but I’ve just put money down for one successfully here. 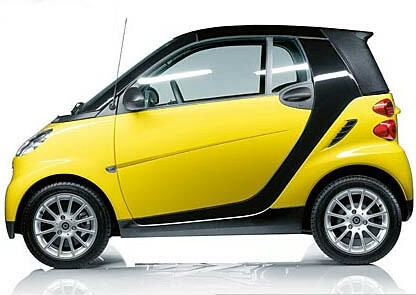 A $99 refundable deposit for one of the first Smart fortwo. I went for a cabriolet version in yellow with black trim and black interior. It’s a bummer that these things don’t come with a clutch pedal. I’m also not sure if there is a torque converter or not, but since the deposit was refundable and it’s only $99, I reserved one. I’ve always wanted one of these. So hot, will be perfect for zooming around SF. upgrade 60/80gb 5g ipod to 100gb for $275? 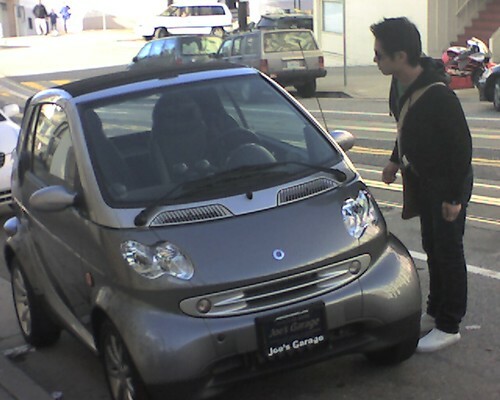 Nice man… Haha, don’t get squashed by any idiots rolling Hummers!